Supplements for diabetes are being widely used these days. In fact, there are currently over ten main classes of drugs that doctors prescribe to help combat Type 2 diabetes. There is good reason that they have become so popular. These drugs have proven to be effective in bringing down blood glucose (as measured by lab tests). However, while this variable (a reduction in blood sugar levels) is seen as a parameter of successfully managing diabetes, the fact prescribed drugs can have side effects over long term use should not be understated. Furthermore, if one drug fails to reduce your blood sugar parameters, a patient can find themselves being prescribed a different drug that utilizes an alternative mechanism to reduce those levels. The end result is that most diabetics will eventually be led down the path of multiple medications, with insulin injections being required once the disease reaches it later, more advanced stages. Surely there has to be a better way than this? 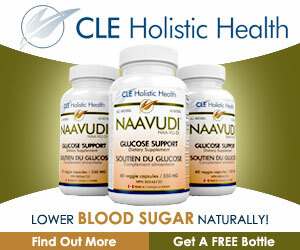 Many are now choosing to use natural supplements in the fight against diabetes. It is believed that with the right diet, (including the right fasting), weight loss, controlled sleep patterns and effective stress reduction, individuals can get on the right side of their diabetes without the need for the habitual consumption of prescription drugs. A key factor in all of this is using the right dietary supplements so that one can transition to being drug-free without adverse effects. Each of the following dietary supplements listed in the box below has been shown in research studies to help with Type 2 diabetes. (Disclaimer: You should always work with your medical practitioner in order to choose a diet plan of supplements that works for you. This includes the taking of natural supplements such as Naavudi). Sometimes we give over all our faith to science, with nothing left over for mother nature. Why not explore she has to offer? Finding a gentler, healthier solution to your diabetes that involves vitamins and mineral supplements (rather than relying on prescription drugs) can only be positive. At the very least it doesn’t hurt to try. With that being said, you should never take them indiscriminately. The impact of that could lead to your blood sugar levels crashing and could obviously be very dangerous. As we stated in the disclaimer above. We are only suggesting you try this in line with what your medical practitioner advises is safe for you. Always consult your doctor before making large changes to your diet and overall health routine. In most cases you will need to balance your experimentation with natural extracts, spices and vitamins alongside a change in the prescription of your diabetes controlling drugs. Over time you will be able to gradually add more supplements as you become familiar with how they affect you. The plan being to hopefully lower your dosage of prescription drugs so that they become negligible, and one day, maybe, non-existent.